Every year, The Minister for Higher Education and Science awards a researcher who is able to attract a broad level of attention to their research. What is more, the researchers have to do it in the way that would engage the public outside of the scientific community and encourage a dialogue between science and the surrounding society. We are happy to share that our project leader, Jacob Sherson, and our flagship game, Quantum Moves, succeeded in doing just that! Jacob received the award from H.R.H. Crown Princess Mary at the opening of the Danish Science Festival at Experimentarium on April 24th. 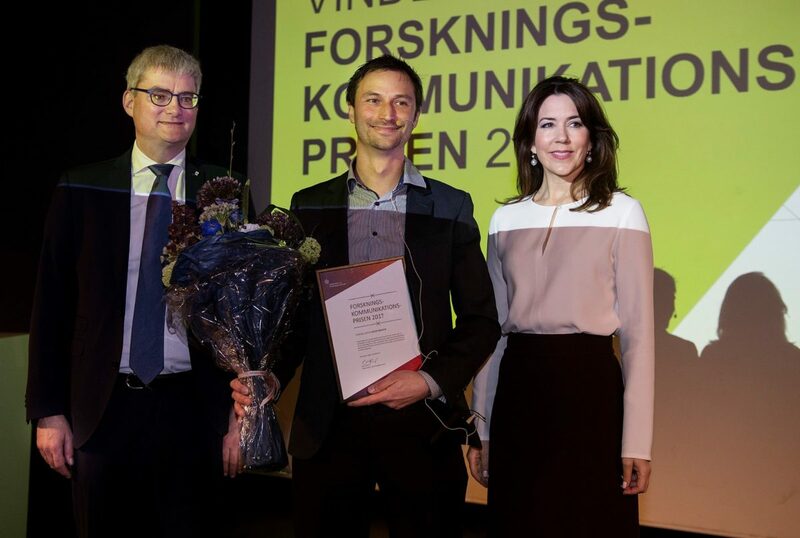 The Research Communication Award also provides DKK 100,000 to the recipient. “We must reward wisdom. Sherson is a magnificent example of a researcher who not only follows his own path but breaks with conventional learning and involves the general public in his research. 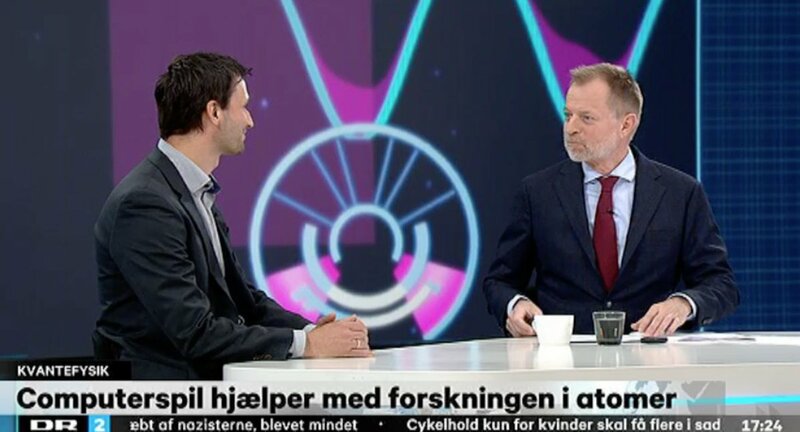 By inviting people to participate in the experiment itself, the gap between public and science is lessened, and Sherson's research is enriched”–says Minister for Higher Education and Science Søren Pind. Jacob Sherson speaking on DR2 about ScienceAtHome research and the Research Communication Award. Jacob Sherson is an Associate Professor at Aarhus University, working with experimental quantum physics. Together with ScienceAtHome research group, he has found a method that draws on the unique ability of people to solve problems intuitively compared to the enormous computing power of computers. The computer game allows people without an academic background the opportunity to help solve problems that would otherwise require a Ph.D. in quantum physics to understand. More than 200,000 people around the world have participated by playing the game. “It is a great honour to receive the Research Communication Award. It is a wonderful recognition that our dialogue between research and the ordinary person through the computer game has created something completely unique–also for me. My very institutional-driven approach to research and the work on creating the game have made me view research differently and look at new resources and research questions that span established research fields”–says Jacob Sherson. Congratulations to Jacob, ScienceAtHome team and Aarhus University! You can read the official press release from the Danish Ministry of Higher Education and Science here.